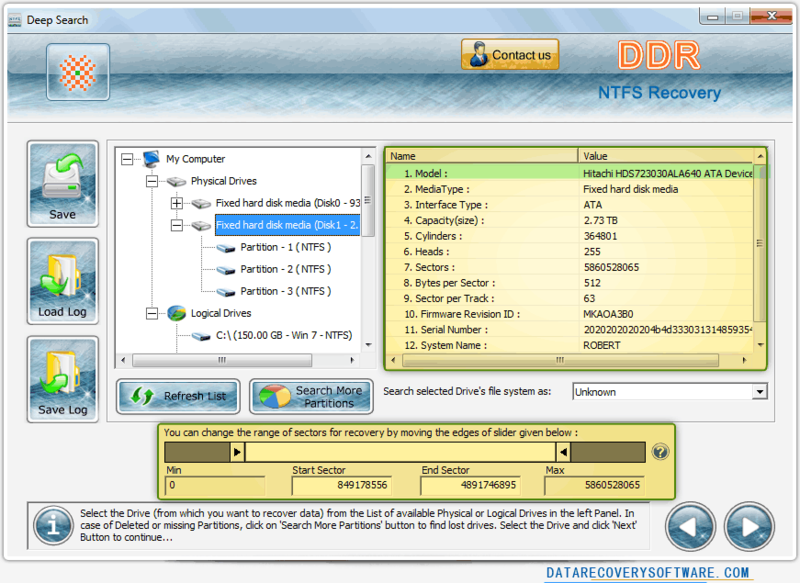 Data Recovery Software for NTFS helps you to recover all lost or deleted data from NTFS hard disk partition. Software salvage files and folders lost due to formatted or corrupted partitions, power failure or directory deletion. ✔ Recovers lost or deleted files and folders. ✔ Restores compressed files and folders. ✔ Supports major IDE, SCSI, SATA hard disk standards.